Earlier this year Sony's Play Station Network was compromised and I got a nice email from Sony that sent me into a frantic round of password changing. Since then hacker attacks on vunerable websites have increased leading to much more media reporting and groups like Luiz Security and Anonymous becoming household names. So this week when reports started circulating that the UK census data had been stolen (and the identity of all the countries Jedi's exposed) it seemed so plausible that both the implicated hacker group and the UK government had to promptly come out and flatly deny it. However just as alarming as massive corporations having obsolete servers and poor security is the fact that so much personal information about every one of us is already floating around the Internet. Just on your Facebook page you have the ability to share your date of birth, home town, mobile phone details and plenty other juicy identity theft morsels. To be fair banks have been alive to the fact that questions like 'What is your mother's maiden name' and 'What is your date of birth' are insufficient as security questions for the last few years (as this report from 2007 shows) and have started to move towards different types of authentication. Yet the first barrier to a hacker gaining access to your online banking or other services is still your password and this quite often tends to be made up of memorable such as your dog's name + your year of birth. For those worried about this sort of thing consider a password manager like Keepass or use a random method like Dicewise for generating your passwords. My birthday is May 28th (like the Queen). 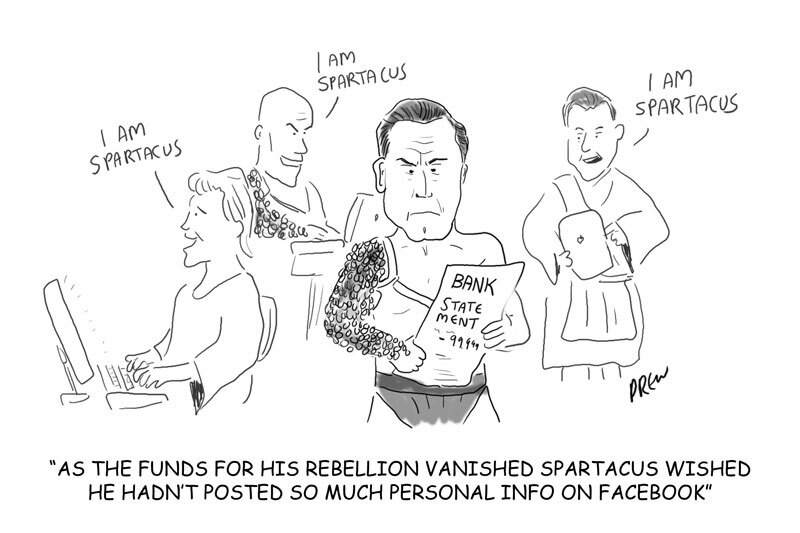 The Spartacus gag came to mind when I thought of Identity Theft. Spartacus (whose real name was Kirk Douglas) lead an unsuccessful slave revolt against Rome and made a film where all his friends pretended to assume his identity and didn't empty his bank account.